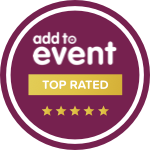 "Fantastic service for The I Do Festivals group for a large corporate event in Surrey. Highly recommend these guys"
Wedding Planning. Saving you time and money. Giving you Perfection. Our latest event. Google Summer Party. Click here! Before this, I worked for a premium Event Planner in London and gained priceless knowledge and experience about customer service and how important it is to have everything planned in detail! A couple of years ago I felt it was the right time to use my organisational, professional and communicative skills to establish Eventastic. Wedding Event Planners & Destination Weddings. Weddings, Corporate Events, Theming & Catering. Excellence and value for money. Sourcing tried & trusted suppliers. Offering you alternative pricing structures. Taking away the event planning time and providing a reduced cost for your event. Luxury Wedding Planning ….The Lensbury. Watch the video here on Youtube to see some of the great moments from the day! We have very reputable suppliers and deep and trusted relationships with them. Our suppliers are from all industries such as Catering, Theming and decor, DJs and dance floors, Venue Sourcing, Entertainment, Musicians and much more. Our latest Corporate Party Event planning….Google! Corporate events for clients like Google are what we specialise in. We offer something totally unique, leading edge, different. Its always perfection. Eventastic. Google would settle for nothing less. Event planning, Entertainment, Theming and decor, Catering, Seating and sofas. Everything is covered by us. When you search in Google, search for Eventastic! Destination Wedding Planner – This one was in Hawaii !! Our Destination Wedding Planning is the full service. We cover the planning for your big day and time at your chosen destination. All of the fine detail including liaising with the venue, caterers, entertainment, transport, florists, hair dressers and make up. Even identifying the best value flights and arranging bulk discounts for you and your family/ friends. Try our Destination Wedding services and you will be thrilled with what you get! FANTASTIC! Bina saved me so much time in planning for my wedding. She took over the hassle of needing to think of different entertainment options, finding the best caters and also all the theming of the marquee. Really great job! Thanks very much for a brilliant service! 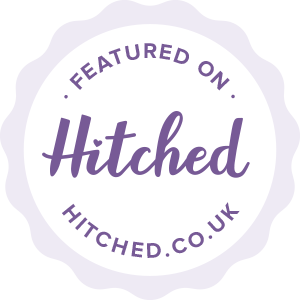 FREE Wedding or Event Planning worth £500! FREE Wedding or Event Planning worth £500! !